A remote-sensing Resurs-DK (46KS) satellite, developed by TsSKB Progress in the city of Samara, in cooperation with NPP OPTEKS, OAO Krasnogorskiy Zavod, NII TP and NTs OMZ, became one of at least three spacecraft developed in the former USSR during 2000s, designed to provide imagery of the Earth surface for civilian use. 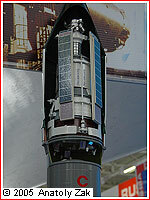 It would be the first Russian civilian satellite with the capability to provide imagery around one meter in resolution. The design of Resurs-DK apparently closely resembles that of the Neman reconnaissance spacecraft used by the Russian military. According to Roskosmos, Resurs-DK had the ability to take advantage of the GLONASS satellite network for its navigation. When t he Resurs-DK1 No. 1 first surfaced in the Russian launch manifests it was scheduled to go into orbit in December 2004. The mission then slipped to April and December 2005. The launch vehicle for the mission was delivered to Baikonur on July 9, 2004. 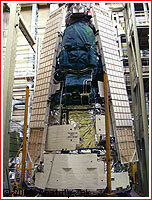 The payload processing was expected to start at the end of March 2006. 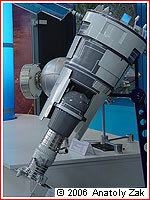 On May 30, 2006, Russian space agency said that vacuum testing of the Resurs-DK1 was completed in Baikonur and its was prepared for fueling, which was expected to take place on June 1 and 2, 2006. On June 12, the satellite was integrated with the launch vehicle. Next morning, the rocket was rolled out to the launch pad at Site 1. 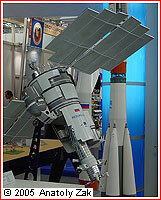 A new Russian satellite based on a military reconnaissance platform joined a crowded field of commercial remote-sensing. The Soyuz-U rocket blasted off from Baikonur Cosmodrome's Pad 5 at Site 1, on June 15, 2006, at 12:00:00.193 Moscow Time, carrying the Resurs-DK1 No. 1 spacecraft. The payload successfully reached orbit eight minutes later, according to the official Russian sources. The planned orbit should have parameters of 360 by 690-kilometer in altitude, with an inclination of 70.4 degrees toward the Equator. The Russian-Italian spectrometer Pamela designed to study dark matter and other astronomical phenomena was carried as an additional payload. The satellite was also carried Arina scientific package, designed to study physical phenomena related to earthquakes. Soon after launch of the Resurs-DK1 No. 1, Russian semi-official news agency Interfax reported that initial attempts to establish radio-contact with the spacecraft had failed. Interfax's source within the industry speculated that the communications antenna onboard the satellite might have failed to deploy. However later in the day, a spokesman for Roskosmos said that the satellite was under control and communications had been established. Perhaps responding to the considerable attention to the mission of Resurs-DK and a recent failure of the Compass satellite, Roskosmos provided unprecedented number of updates on the fate of the spacecraft. On June 18, 2006, Roskosmos announced that Resurs-DK1 conducted two engine firings to enter its operational orbit. The maneuver was completed before 17:00 Moscow Time. On June 21, 2006, another update said that planned testing of the satellite's command and control system proceeded without problems. A day later, ground control successfully tested the Geoton-1 optical-electronic system and the Sangur-1 data receiving and processing system, according to Roskosmos. On June 23, 2006, Russia's Science Center for Remote Sensing of Earth, NTs OMZ, received first images from the satellite. According to Roskosmos, the satellite conducted two photographic sessions, lasting five seconds each. On September 15, 2006, Roskosmos announced that testing of the spacecraft was successfully completed on that day and State Commission planned to convene on September 21, 2006, to declare the satellite operational. On September 22, 2006, Roskosmos confirmed that the spacecraft was declared operational as scheduled. On September 10, 2010, Resurs-DK was commanded to lift a perigee (the lowest point above the Earth surface) of its orbit, climbing from a 355 by 573-kilometer ellipse to a 567 by 574-kilometer near-circular orbit. Russian officials later explained that the move aimed to extend the life span of the spacecraft, however they did not provide any details. On Nov. 17, 2010, Russian space agency fired a shot in a "war of words" with the Interfax news agency, which a day before quoted Resurs-DK's users as saying that data was no longer coming from the spacecraft and ground controllers reportedly struggled to regain contact with the satellite. The agency's web site then run a follow-on story of the RIA Novosti news agency. It quoted Aleksandr Semerikov, a deputy chief of the science center for remote-sensing, who admitted technical problems with the satellite, but insisted that imaging process had been continuing at a "reduced rate," comparing to that of a year before. Semerikov added that there had been some glitches in the operation of high-resolution hardware, which had been addressed in cooperation with its developers. Semerikov also said that the spacecraft did experience problems maintaining a proper thermal control inside its pressurized compartments, but they had been resolved and thermal conditions were brought back to specifications. 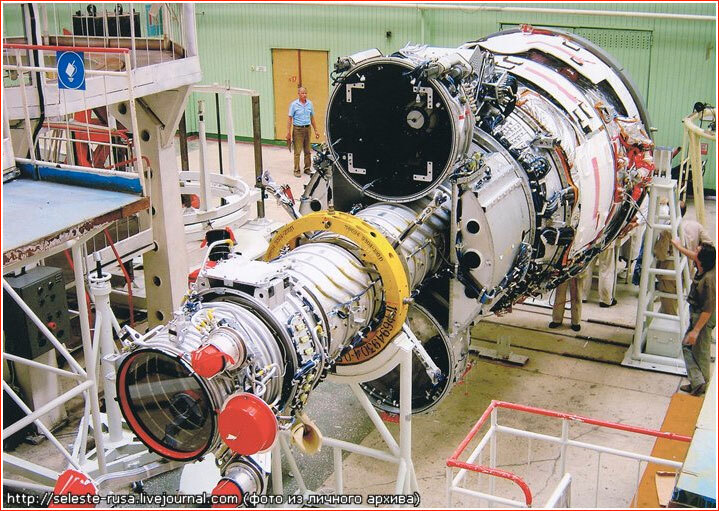 In February 2016, just weeks before the launch of the new-generation Resurs-P3 remote-sensing satellite, the Russian space tracking service, ASPOS OKP, reported that operations for maintaining the orbit of Resurs-DK1 had not been conducted (any longer). From February 7, due to deactivation of onboard systems and cessation of the attitude control, the accurate monitoring of the satellite's orbit was not conducted. In accordance with instructions from Roskosmos, the tracking of the satellite was discontinued as of March 1, 2016, ASPOS OKP said. At the time, Resurs-DK1 was reported in a 559.87 by 585.9-kilometer orbit with an inclination 69.95 degrees toward the Equator. Not withstanding some onboard problems, the nearly decade-long mission of Resurs-DK1 is likely unprecedented for a Russian low-orbiting remote-sensing satellite.